Dark dusty ruby color. Oaky aromas of plum compote, vanilla creme anglaise, sweet cinnamon pastry, and chocolate soufflé with a slightly chewy, vibrant, dry-yet-fruity medium body and a captivating, medium cedar finish with woody tannins. An oaky Malbec with mouthwatering acidity. 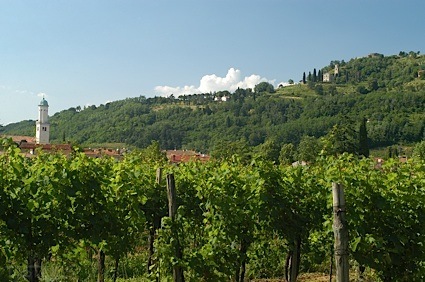 Bottom Line: An oaky Malbec with mouthwatering acidity. 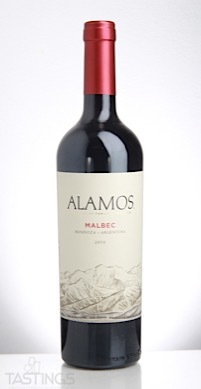 Alamos 2016 Malbec, Mendoza rating was calculated by tastings.com to be 86 points out of 100 on 2/8/2018. Please note that MSRP may have changed since the date of our review.